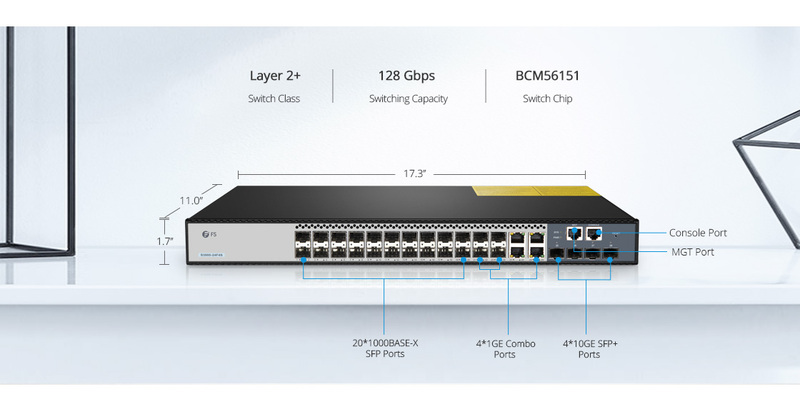 S3900-24F4S 20-Port switch is an advanced Layer 2 Plus (Layer 3 Lite) Gigabit managed stack switch with 10G uplink perfect for Service Providers (ISPs) and Multiple System Operators (MSOs) to provide home users with triple-play services with up to Gigabit bandwidth. 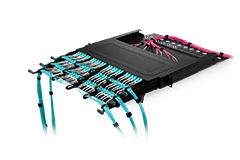 This 20-port Gigabit Ethernet switch is also the ideal Gigabit access and aggregation switch for SMB, enterprise, and campus networks. 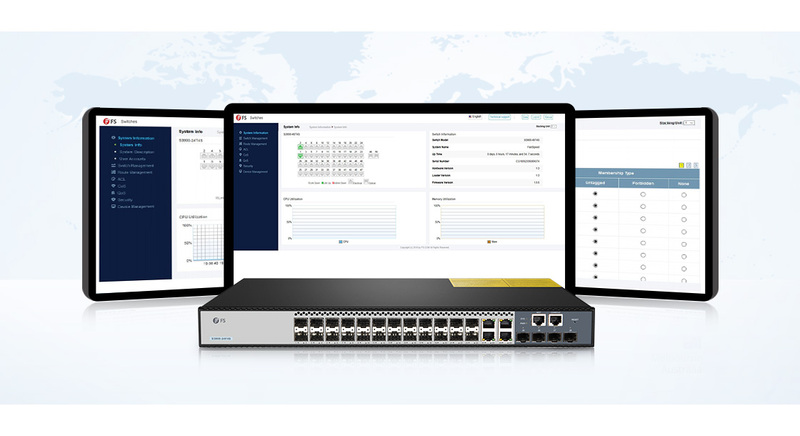 It is designed with an advanced feature set that bring high availability, comprehensive security, robust multicast control, and advance QoS to the network edge, while maintaining simple management. 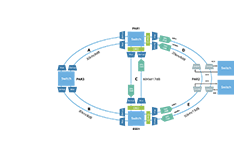 Delivers the performance, flexibility, and scalability required for enterprise access deployment. 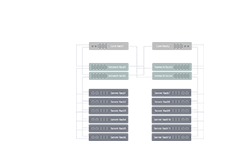 Raising the bar with non-blocking performance and to create up to10 Gbps high-speed for uplinks or stacking. 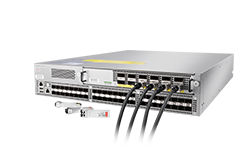 S3900-24F4S switch is Layer 2+ gigabit switch that provides fixed GE ports and 10 GE uplink ports. 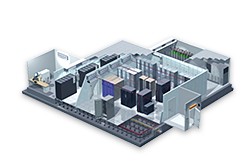 The physical stacking (up to 6 units) feature facilitates management for multiple switches with one single interface. 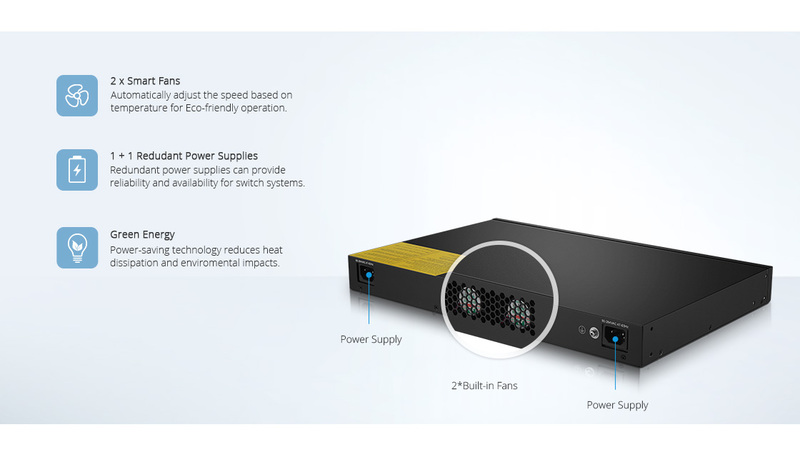 S3900-24F4S switch offers 1+1 redundancy power, smart fans and low power comsuption to ensure high network reliability and availability. 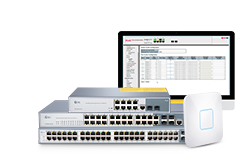 User-friendly web interface helps to quickly and simply configure switches. Industry-standard command-line interface (CLI), accessed through the console port or Telnet. 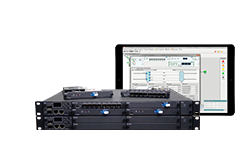 S3900 Series switches are valid for the IETF RFC2544 standard, which provides an out-of-service benchmarking methodology to evaluate the performance of network devices using throughput, back-to-back, frame loss, and latency tests. 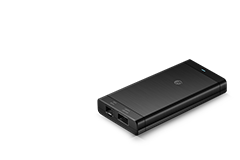 Great product with good price. Fans working strange (start and stop again and again) but this is not a problem. I have always looking for fiber optics from FS, and the quality is verified to be reliable during operation. Also bought this Metro Ethernet switch, and it works well in my officeroom now. Have tried it, works well so far. If it can keep working without any problem. I'll try your 10G switch. 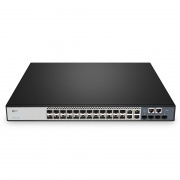 I looked for stackable switch with reasonable price all the time, and my friend inrtoduces FS.COM to me, who had brought satisfied S2800-24T4S in FS.COM. After getting more info from my sales, I placed a test order. 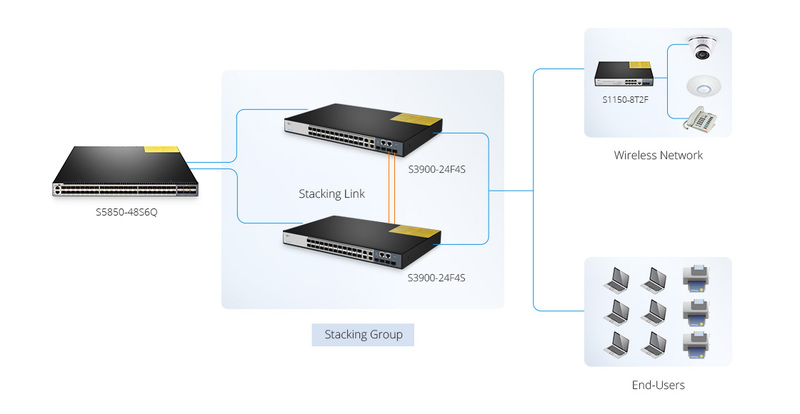 And they also supported me to stack 6 S3900-24F4S switches in a stack acting. That's wonderful and the switches work well. Thanks.